WHUR welcomes to the Washington's Next Big Voice Contest Frank Ski, the former host of the top-rated morning show at Atlanta-based radio station V-103. 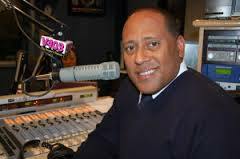 Frank Ski hosted 'Frank and Wanda in the Morning' for 14 years (1998-2012) along with co-host Wanda Smith. Before going to Atlanta in 1998, Frank Ski gained notoriety just outside of D.C. at Baltimore's defunct V103 (WXYV) and rapping on B-More's early 90's club music classic "Doo Doo Brown." From WHUR.com But take a look beyond the radio station and you’ll find somewhat of a renaissance man, whose accomplishments and interests are as broad and intriguing as the many subjects he covers every day. With an ever-growing list of talents, Frank Ski is a well-known journalist, producer and DJ, actor, motivational speaker, tireless philanthropist and most importantly – a husband to wife Tanya and father to four boys. Born in Harlem and reared in Miami, Frank continues to transcend barriers of race, creed and culture. 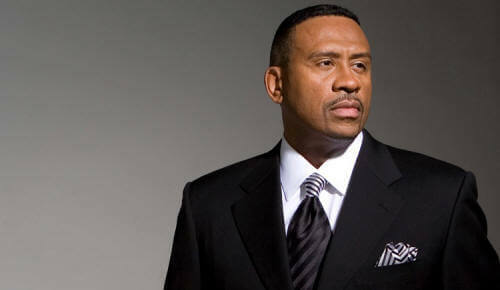 You can vote yay or nay at WHUR.com as the station seeks a replacement for the departed Michael Baisden Show.